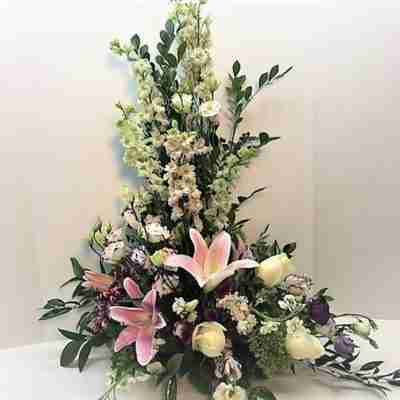 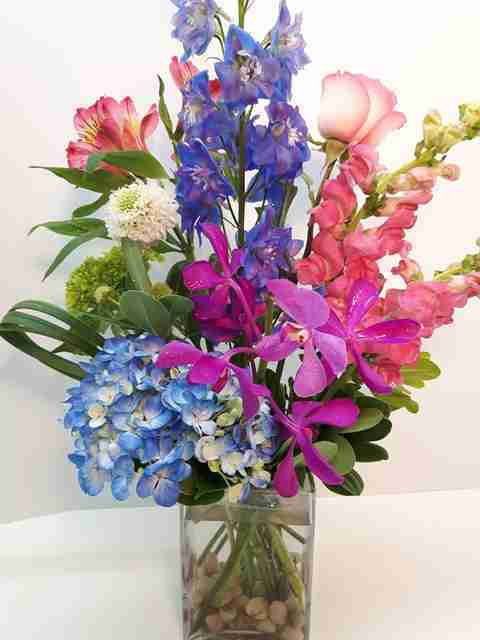 A beautiful garden-like assortment featuring orchids, delphinium, roses, snapdragons and hydrangea. 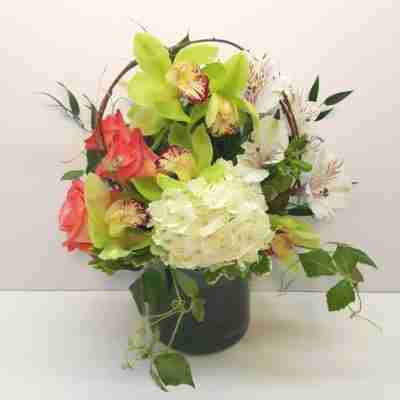 Accented with looped bear grass and creative greens. 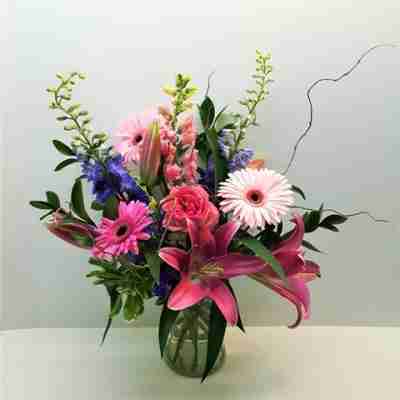 An impressive arrangement for any occasion.